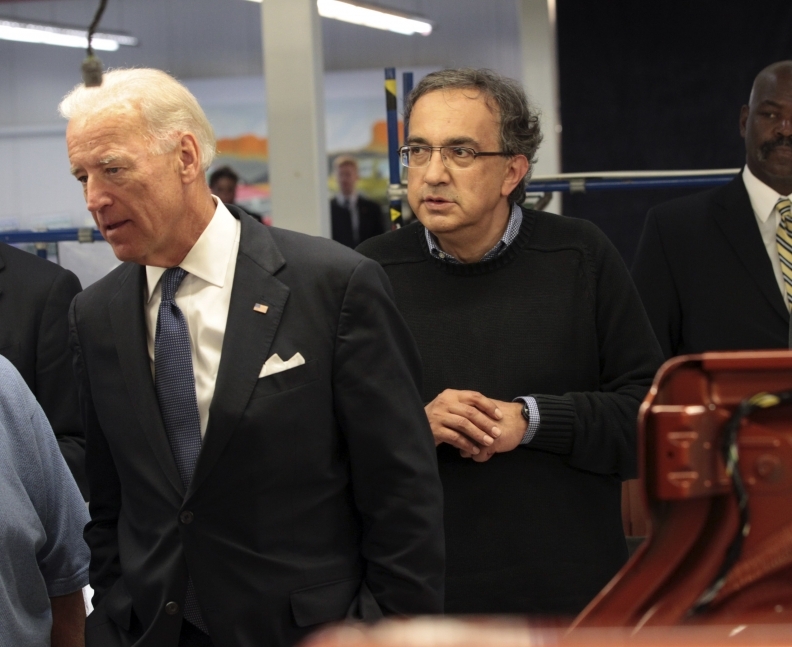 U.S. Vice President Biden (right), with Chrysler CEO Sergio Marchionne, at the automaker's Toledossembly plant. TOLEDO, Ohio (Reuters) -- Chrysler CEO Sergio Marchionne said it will be "difficult" for the automaker to turn a net profit for the full year 2010. Marchionne did not offer guidance for Chrysler's financial performance for either the third or fourth quarter of the year. The No. 3 U.S. automaker, which emerged from a U.S. government-supported bankruptcy in June 2009 under the management control of Italy's Fiat SpA, narrowed its net loss to $172 million in the second quarter, from a $197 million net loss in the first quarter. During the second quarter, Chrysler's operating profit rose 28 percent to $183 million from the first quarter. And over the first six months of 2010, Chrysler's operating profit reached $326 million, exceeding the automaker's guidance that operating profit would be between break-even and $200 million. On the company's performance in general, Marchionne said he is "satisfied" with the turnaround after the bankruptcy. "We're ahead of plan," Marchionne told reporters after Vice President Joe Biden addressed autoworkers on Monday at a Chrysler plant in Toledo that makes Jeep Wranglers. "We are delivering on everything we said. We are doing it quietly, keeping our head down," Marchionne said. Earlier this month when Chrysler issued its second-quarter financial results, Marchionne said Chrysler would likely raise its outlook for 2010 after the third quarter. General Motors Co., which also underwent a U.S. government-sponsored bankruptcy, has filed papers for an initial public offering of its stock, in a sale that could occur in about three months. Marchionne did not make any remarks about a Chrysler IPO, but in the past has said he will wait to see how the GM IPO fares. As he did in July, Marchionne said Chrysler would already be showing net profits if it had not borrowed from the U.S. Treasury in order to have operating cash. "All the money given to us was debt," Marchionne said. "The cost of carrying that cash is very large.